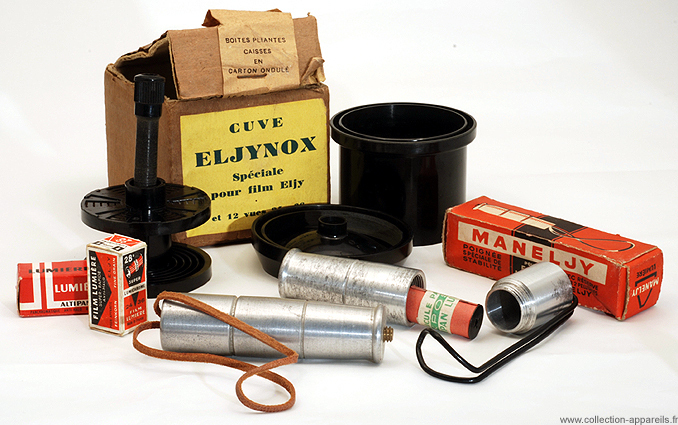 Manufactured in France from 1945 until 0. Strangely, this model dated 1945 seems in decline compared to the one dated 1944. The shutter reaches only 1/150 of a second. The aperture scale is also different, even if the lens aperture is 3.5. There is no self timer any more.. I am unable to say whether if it is a temporary regression or if it is the sign of a survival of the prewar distinction between Eljy and Super-Eljy. 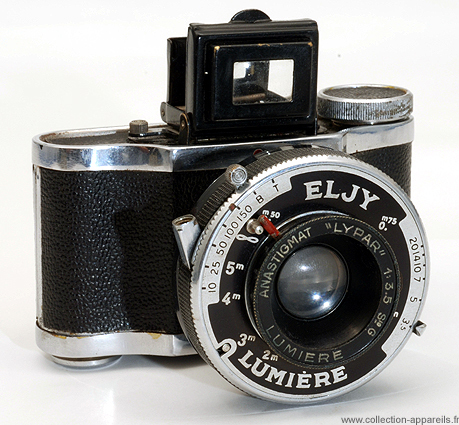 In 1946, a Super-Eljy was sold 2194 French francs by Lumière to its distributors, while the imposed selling price was 3120 French francs.